The Hipstamatic app turns your iPhone into a selection of vintage cameras (with a variety of brands of decaying film). You can choose your own combination of equipment to get the result you’re after, or throw caution to the wind and get a random selection of camera and film by shaking the iPhone around a bit. If the three standard cameras and films aren’t enough, you can buy alternatives within the app. Here at welovecreative we’re rather fond of the Kaimal Mark II lens and Kodot Verichrome film combo. 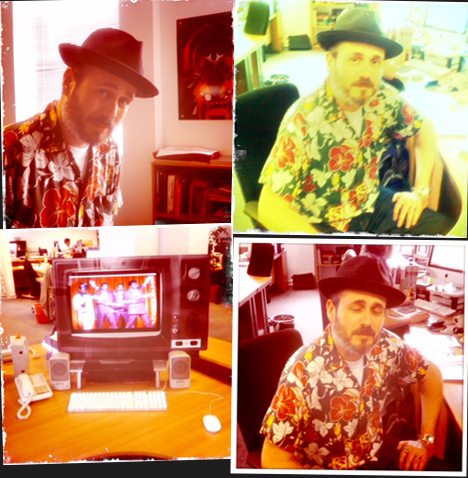 Check out the pics below of the esteemed Mr J. Hutton (FuturePlus Production Editor and lover of all things The Past), all shot using random combinations. For more, take a look at this excellent Hipstamatic Flickr pool.